Late last week the National Wheelchair Basketball Association announced the preliminary roster for Team USA’s 2017 women’s basketball team. 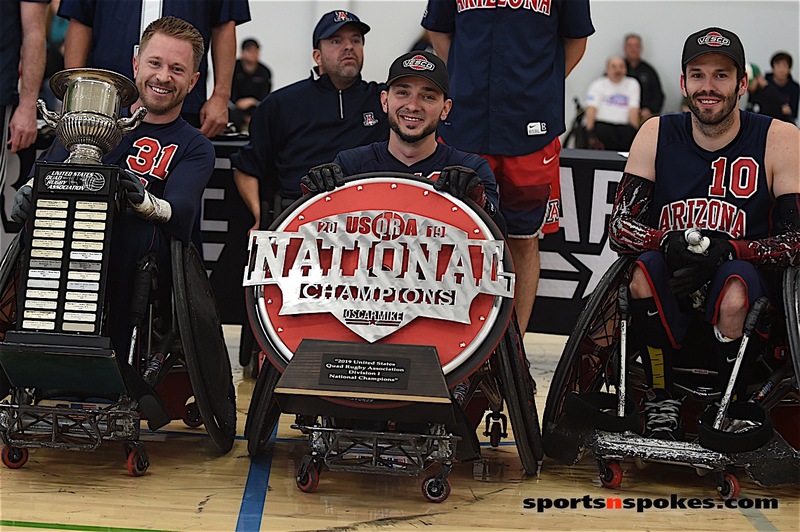 And while the final team selection won’t come until later this summer, the team already looks strong with three returning 2016 Paralympic gold medalists. Among the names is Abby Dunkin of Texas. Dunkin, a student-athlete at the University of Texas at Arlington, was a member of the gold-medal winning 2015 Para Pan Am Games team. She will be joined by three other athletes who currently play for the University of Texas at Arlington. They are Josie Aslakson of Jordan, Minn.; Molly Welfe of Fort Wayne, Ind. 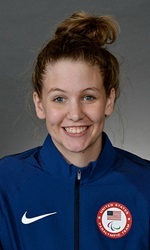 ; and Morgan Wood of Gordonsville, Tenn.
We recently had the chance to chat with Dunkin about her time at the OTC and how it feels to be selected for Team USA. SNS – Talk about the past three days at the Olympic Training Center. Dunkin – It was a great few days playing with fantastic athletes who most of them were new to the selection process. Around 30 athletes came to the selection camp, so it was great to see the diversity in skill and experience level. Our head coach, Trooper Johnson, is big into data and evaluating parts of our skill levels through testing. So most of time on the first day was participating through different tests from shooting, speed, agility, and conditioning. Overall, it was a neat experience getting to know and play with new and upcoming athletes of all ages who all have the same common goal. 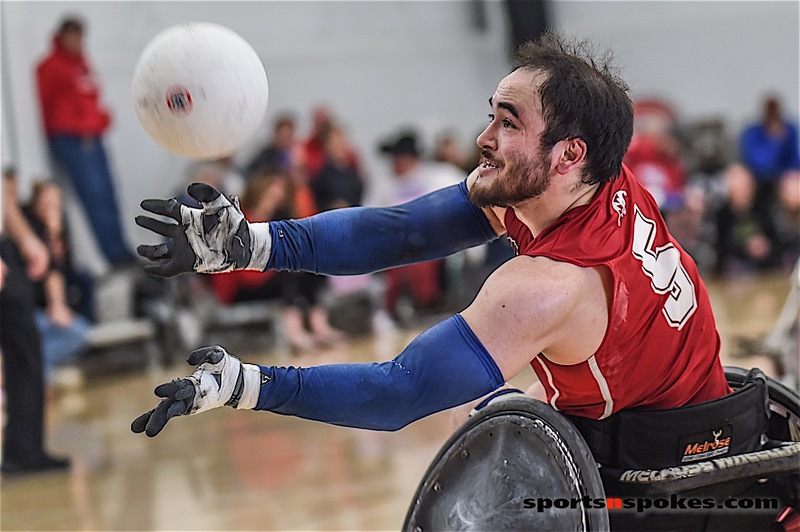 SNS – You’re fresh off the podium from the Rio Paralympics, competed in the 2015 Parapan Am games. What are you goals for this year’s team overall? Dunkin – My first tryout was in 2015, so I didn’t come in during a development year, but I came in during year of fine tuning the little things and identifying key line-ups. 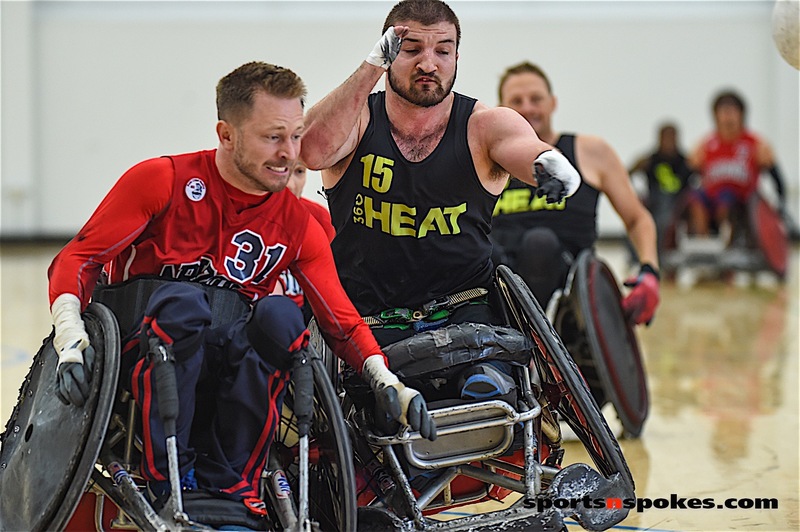 Competing at the 2015 Parapan Am games, and the 2016 Rio Paralympics, we had the same team with a few minor changes in the personnel. The team we had in Rio was full of athletes who were definitely some of the best in the world and had a lot of experience. Now with this team for 2017, we are at the beginning of a development year. We have many young athletes that don’t have international experience yet, and have a lot of potential to help Team USA back on the podium in 2020. I don’t expect for us to be playing at such a level we would need to be at for competing at the Paralympic Games, but I do expect us to further our chemistry as a team. In addition, develop our game as individuals and as a team. We have three returning Paralympic athletes, including myself, so it’ll definitely be a year full of learning, teaching and adjusting. 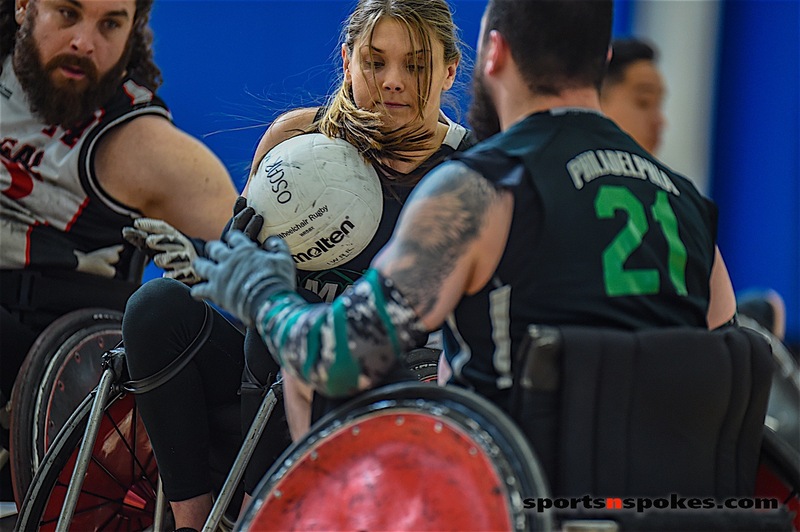 SNS – Going back to when it all started, talk about what attracted you to wheelchair basketball and how it’s helped you deal with your disability off the court. Dunkin – I grew up playing basketball, and fell in love with the game when I was a kid. After I made the transition to using a wheelchair in 2013, I was far from giving up the game that I had played for so long. I came across a few games on YouTube from the 2012 London Paralympic Games. At that time I had no idea who any of the athletes were, or how I could get involved. I just remember immediately thinking, “Wow I want to try this.” Then three years later, the women that I had watched on YouTube, became my second family. Wheelchair basketball has since then been my outlet, and it’s a time where I actually forget that I have a disability. To represent UT-Arlington at the collegiate level, and Team USA on an international level, is something I definitely don’t take for granted. SNS – What goes through your head during team selection day? Dunkin – I always get pretty nervous before selections. You never what’s going to happen. It doesn’t matter if you have been on previous teams, and your spot on the team is always up for grabs. After the selections were made, there was a sense of relief among everyone selected. We also had to remember that since 16 were selected, that means there’s still another cut coming soon for the final 12 women roster. So the real hard work starts now. Personally for me it was bittersweet, as it was hard to see those athletes who worked so hard, eventually get their hearts broken. Overall, it was a mixture of feelings. SNS – What do you tell young athletes to help encourage them in sports? Dunkin – Have fun. It’s always the most important rule. If you’re not having fun, you’re not only hurting yourself, but also your teammates around you. Even if it’s not wheelchair basketball, find something that makes you happy.